Morey Plumbing, Heating & Cooling, Inc.
Our goal is to connect people with the best local experts. We scored plumbers on more than 25 variables across five categories, and analysed the results to give you a hand-picked list of the best plumbers in San Diego, CA. 2BeFixt provides general plumbing and handyman services in San Diego and the surrounding areas. They can handle a variety of plumbing, electrical, assembly, or installation needs. The team has more than 30 years experience and a long history of happy customers. Able Plumbing and Drain Service is a full-service plumber in San Diego, CA. Able Plumbing has been in business for over 23 years, and has an A+ rating with the Better Business Bureau. The company keeps an emergency plumber available 24/7. All Star Plumbing and Restoration provides plumbing services for customers in Orange County, San Diego, and Riverside. They provide 24/7 emergency plumbing service and guarantee to be at the customer's home within 60 minutes. All Star Plumbing and Restoration is licensed, insured, and has an A+ rating with the Better Business Bureau. American Ace Plumbing Heating and Air Conditioning serves customers in San Diego. They specialize in maintaining, installing, and repairing plumbing and HVAC systems. The technicians have a variety of certifications for any number of project. American Ace Plumbing Heating and Air Conditioning also offers 24/7 emergency plumbing services for residential and commercial customers. American Plumbing Co. serves customers in San Diego. They perform general plumbing repairs and maintenance, and specialize in bathroom remodels. All technicians are fully insured. American Plumbing Co. has an A+ rating with the Better Business Bureau. B Garber Plumbing Inc has been a full-service plumbing company since 1948. The team focuses on repairing, installing and warranty work for steam rooms and saunas. They are the experts relied upon by most of the steam room manufacturers in Southern California, from Temecula to the Mexico border. B Garber Plumbing Inc boasts an A+ rating from the Better Business Bureau. Black Mountain Plumbing has specializes in San Diego plumbing since 1993. Services include drain cleaning, leak detection, repiping, and plumbing camera inspection. They also specialize in mold and flood damage clean ups and bathroom remodeling. They received Angie's List Super Service Award in 2005 and were named “The Best Plumber In San Diego” in 2012 and 2013 by KFMB Channel 8 and Mojopages. Blue Planet Drains and Plumbing has been serving the San Diego area for more than 15 years. The technicians are affiliated with the Plumbing, Heating Contractors Association of San Diego PHCC. They specialize in a variety of services, including drain cleaning, hydro jetting, sewer line repairs, and repiping. Coastal Rooter has been a San Diego plumber for more than 25 years. They check, diagnose, repair, and install plumbing systems for business and residents throughout the area. Coastal Rooter also offers 24 hour emergency plumbing services. Colepepper Plumbing is a San Diego plumber that serves Carlsbad, Carmel Valley, La Mesa, Universal City, and Rancho Bernardo. The team handles water heater repair and replacement, leaks, water pressure problems, and much more. They also repair and replace toilets and faucets. 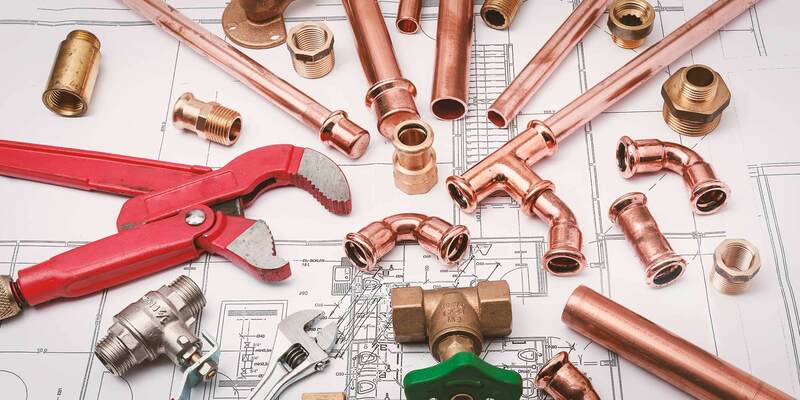 San Diego-based Courtesy Plumbing offers plumbing service and repair for residential customers and handles light plumbing work for commercial customers. They handle a wide range of tasks such as re-routing and re-piping homes with leaks or corroded pipes, the installation of storage tank or tankless water heaters, and solving clogged drain issues. Courtesy Plumbing's experienced team are all licensed, bonded, and insured and have Master Plumber certifications. CVB Plumbing has been in business since 1990 and provides commercial and residential plumbing services to residents across San Diego.They repair clogged drains, high pressure jetting, provide sewer and drain cleaning, and much more. Drain Masters Plumbing Company specializes in residential and commercial plumbing, including sewer inspections, drain cleaning, and water heater repair. The family-owned business has served customers in San Diego for more than 15 years. All technicians are licensed, bonded, and insured. DrainHelp is a plumber in San Diego with more than 10 years of experience. Services include drain cleaning, water heater repair and replacement, repiping, and faucet, fixture and sink problems. There is an emergency plumber available 24/7. Essential Plumbing, Heating, & Cooling has been serving residential and commercial customers since 2007 and has over 15 years of plumbing experience. They provide a variety of San Diego plumbing services, including drain cleaning, repiping, water heater installation and repairs, and leak detection. They also perform bathroom and laundry room remodels and a offer variety of installation services. Go Green Drains & Plumbing is a San Diego plumbing company that offers 24 hour emergency service. The team takes pride in using state of the art equipment and procedures to troubleshoot and diagnose problems. Specialties include drain cleaning, general plumbing services, and more. Golden State Plumbing is a full-service plumber who has served the San Diego area for almost 30 years. They specialize in plumbing repair, installation, and maintenance. The team takes pride in being prompt, reliable, and providing excellent service. John Stevenson Plumbing, Heating, & Air Conditioning serves residents Carlsbad and the surrounding areas. They have been in business for more than 25 years and install, maintain, and repair a range of plumbing and HVAC systems. Monty's Plumbing is a green plumber serving San Diego County. They promote water conservation and are experts in grey water solutions. They repair, maintain, and install plumbing, sewer, drain, and water recycling systems. The company also offers 24 hour emergency plumbing services. Morey Plumbing, Heating & Cooling, Inc. is a family-run plumbing company in San Diego. They offer a range of plumbing and HVAC services. The company is fully licensed and insured, and is Better Business Bureau accredited. Nexus Plumbing serves customers in the San Diego area. The technicians have 20 years experience and are third generation plumbers. Nexus Plumbing repairs leaks, sewer and backflow issues, and is available for repiping and remodeling projects. Plumbing Plus is a top-rated San Diego plumbing company. Each plumber’s truck is equipped with an inventory of parts and tools, allowing them to diagnose and repair plumbing problems without needing to go back to the shop. They specialize in a variety of plumbing services, including bathroom remodeling, drain cleaning, line stoppages and repairs, and water heater installation and repair.